External 2 dBi SMA antenna increases the best signal. You can even switch with bigger antenna (5 or 8 dBi) for better signal. You can change the antenna direction to find the best signal. NOTICE: There are too many versions of Linux. We can't guarantee that this model can work in ALL Linux system. Please make sure the compatibility or contact our tech support before you buy it for a Linux system. Pros: Always has a great price, windows plays nice with it, has pretty good reception; even better with a larger external antenna. Cons: The utility CD can be a pain. I got rid of the wireless utility and let Windows handle it. Other Thoughts: I have had this for over 2 years. For 1.5 years it was my primary adapter. It has really great coverage if you happen to have a 7dbi antenna lying around! It is now the backup to a L-name wireless-N dongle that has its startup issues. Still comes through every time. Pros: Connected immediately upon plugging in. Works great with Ubuntu Maverick Meerkat 10.10. Inexpensive. SMA antenna. Other Thoughts: After trying to get other USB adapters to work with Linux via....., I decided to try this out. Worked right out of the box for me. Well worth the price I paid. Cons: Size is ridiculously too big. can't connect to the ports around. the computer on, it got bent over without a sweat. Pros: Great signal and reliability. 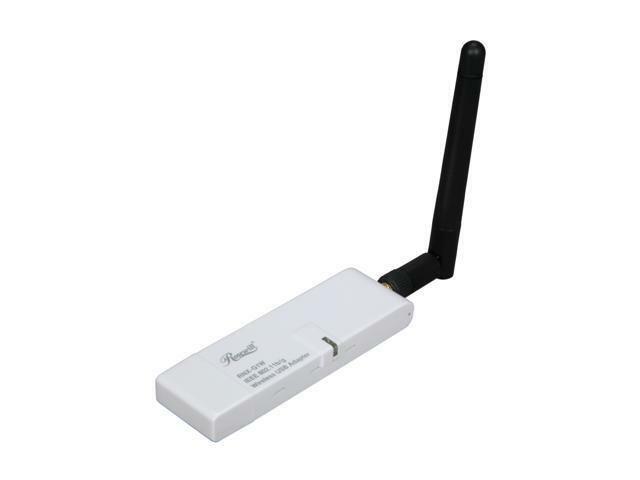 I use this with BT4 to scan for wifi signals and do some light offensive security on my laptop. Pros: Reasonable price and easy installation – haven’t had a single problem so far. Pros: gets very good reception and excellent throughput, especially compared to the couple of previous wireless adapters I've used. 4 bars strength and virtually maxed out throughput (up to our cable modem limit, at least) at 13-14Mbps. old usb adapter would get VERY warm, while this one only just barely gets warm enough to feel the difference between the case and ambient room conditions. Cons: no extension cable included, and this really does need one. Other Thoughts: software install is required. Vista would not just pick up and go once this was plugged in, as far as I could tell.